﻿ High Street Inn, Kota Kinabalu | FROM $13 - SAVE ON AGODA! 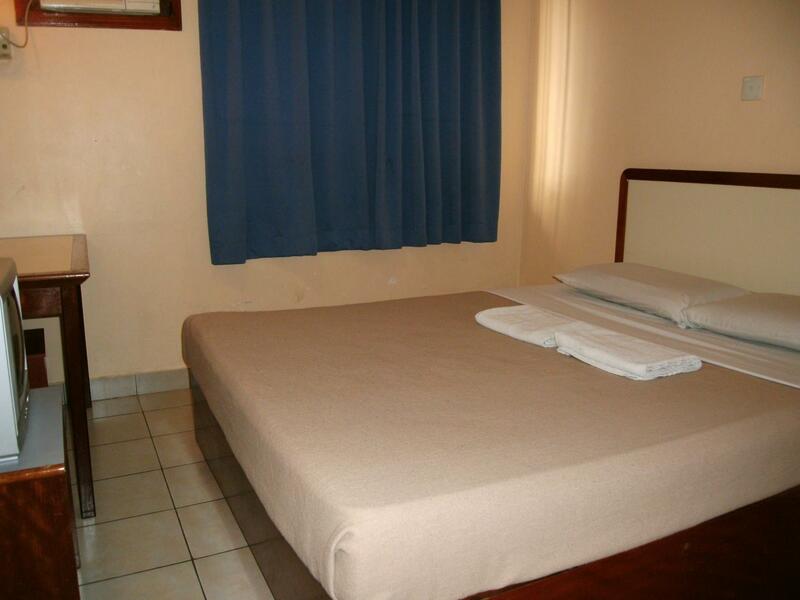 "Hotel is located at city center and suitable for budget trav..."
Have a question for High Street Inn? "Great location near the best eats and attraction around town." 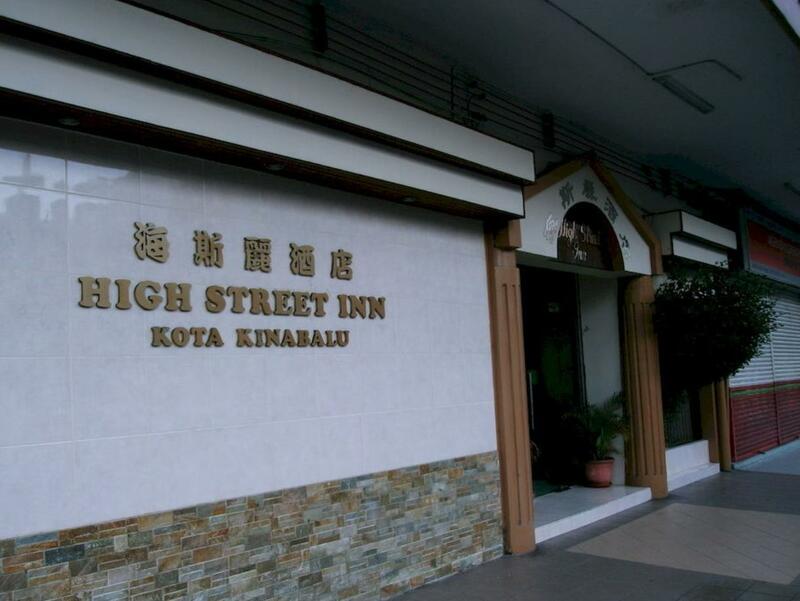 Nestled in the heart of Central Business District, High Street Inn is an ideal spot from which to discover Kota Kinabalu. From here, guests can enjoy easy access to all that the lively city has to offer. A well-kempt environment and its proximity to Gaya Shop Lot, Wisma Merdeka, Consulate of Australia give to this hotel a special charm. At High Street Inn, the excellent service and superior facilities make for an unforgettable stay. While lodging at this wonderful property, guests can enjoy Wi-Fi in public areas, room service, laundry service, dry cleaning. Guests can choose from 30 rooms, all of which exude an atmosphere of total peace and harmony. Besides, the hotel's host of recreational offerings ensures you have plenty to do during your stay. 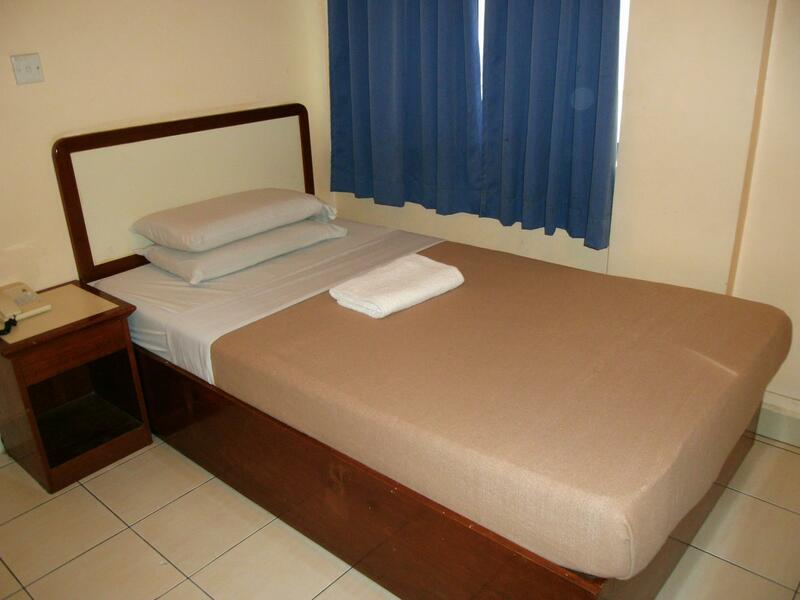 High Street Inn is your one-stop destination for quality hotel accommodations in Kota Kinabalu. 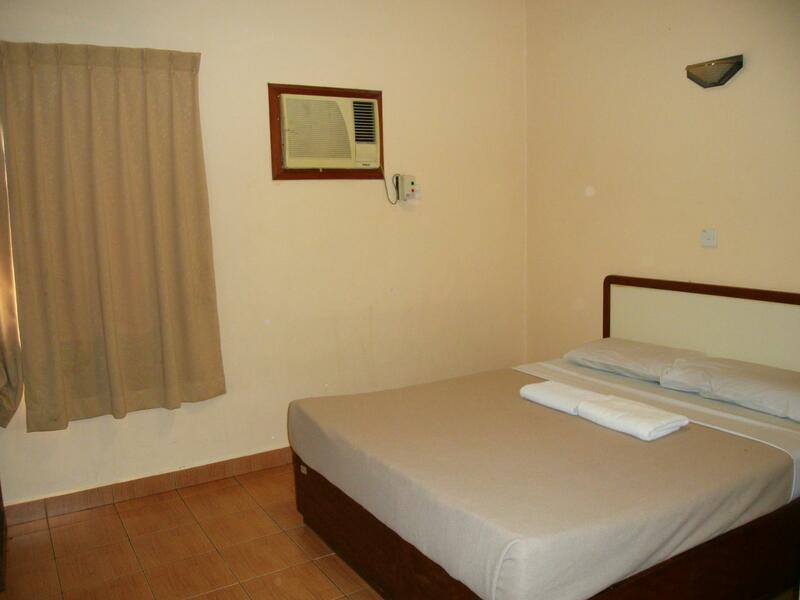 "superb the location with its proximity to food joints, buses..."
Old hotel with very minimal facilities. Everythg is old, ie the furniture, the tv, the toilet. No hot water/ shower. The wifi hardly functioning when you're in the room. But the wifi at the lobby is good. A bit smelly...especially at the lobby, smells of the cigarette smoke. The internet is good. But the Toilets are filthy. Crumbling tiles, dirty sink, foreign objects on floor like female hair. Seems like cleaning is not a priority. No elevators and even after asking they put me on a higher floor. Everything is old and with non working TV. I feel great cause the staff very helpfull and so cute smile, i would like to compliment staff. He always guide me whenever i want to know the location of food and shopping complex. He deserve me the best everytime i need about hotel equipment. And this hotel is middle in town easy to get 24hour shop orange or 7e11 and near with pasar gaya street weekend. And near with Suria Sabah Mall. Near guardian and watsons. Near OCBC, PUBLIC BANK, BSN, CIMB. This hotel near with Beach and stall can eat the seafood ..
What do you expect from a one star hotel. The facilities is quite old. About the cleanliness, well, is good but not great, since there's a funny smell in the room I dont even know what smell is that. Great location but the value for the hotel is quite expensive because the facilities are not that good. Need to be improve in order to suite the price. the room not clean properly and room condition very poor other than everything they will charge including iron !!! like seriously iron???? r u kiddin ?!! Located on 3rd floor. Internet works. Hot water. the facilities should be improved. not so much to comment. what to expect to comment a decent room rate. Clean but old setup. tv cant enjoy the tv cause everything hazy, hot water only day time. after mid night stone cold. you need stamina if you room the highest. Stayed there before and it was good. But the last trip will be my last time with High Street Inn. They seriously need some refurbishment. Staff were either busy watching TV or on their mobile. No drinking water provided. Bad. Poor parking. Late check in, ask customer to wait even,though pass the check in time. Ask for parking opinion, they answered you rudely, go find your own solution, what are these??!!! Hard excess Walk up to high stairs without help from staff Poor check in system, its 3pm and they asked me to wait another half hour, what is this?!! There were bedbugs, the pillows stank, the room had an overpowering musty "wet towel" smell; and the bathroom's in need of an upgrade especially with doors which can close. However superb the location with its proximity to food joints, buses and wharf; it is in desperate need of an overhaul before I'll stay there again. I booked a room for 2, for 2 nights stay, got a room with queen bed, and the experience was horrible. The room smells, the bed sheet and pillow cases stained. The toilet had no water heater, and i have to wait for a few minutes for the water from the shower to come out. The ceiling is cracking everywhere, but luckily in our room no water dripping from the ceiling. Because outside at the hallway, they put 2 pails for water dripping from the ceiling. Which was inconvenient for us to walk through the small hallway. We were asking for iron, and to my surprise, they charged for it! Rm5.30 for 1 hour of using the iron!! I never had an experience where i have to pay for using a hotel’s iron! And it was not a nice high quality iron after all, just a cheap, light, and easily overheated type of iron. I just had to bear staying there for 2 nights, will surely never come again, and i will not recommend this hotel for anyone to stay. excellent location and good value for money, however, I was uncomfortable in staying for two nights because of the bed and even the blanket are too dusty.